Ladybugs live all over the world. There are about 5,000 species and over 450 are native to North America. Also called ladybirds, or ladybeetles. They are part of the Coccinellide (scientific name) or beetle family, which means little sphere. Ladybugs live on every continent except Antarctica. These tiny winged insects can be as small a 1 millimeter or 1/16th nches to10 millimeters or 3/8th inches long. Ladybugs also come in a variety of colors. They are usually red, orange or yellow and have little black spots on the back top of their body and on their wing cover. The ladybug has a shell known as a caraspace, which is hard shell where we see their spots and coloring. Their head is very tiny and includes their mouth parts, antennae, which are their feeler, and compound eyes, which help them see better. The ladybug’s mouth has strong jaws called mandibles. Their antennae help ladybugs with their sense of smell, and help them find their prey and their mate. 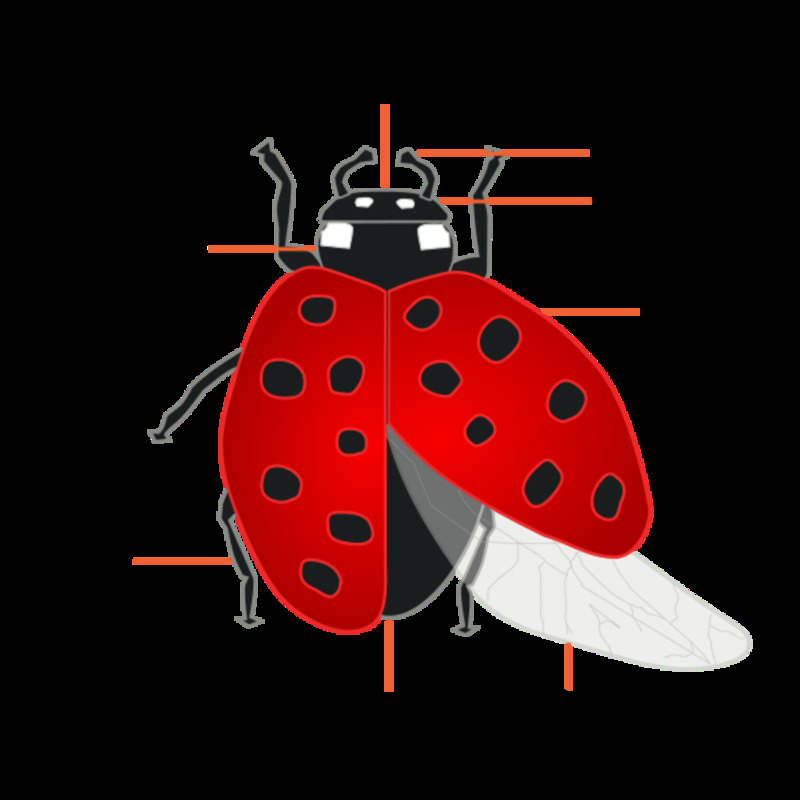 With their antennae, the ladybug can also touch and taste. The pronotum, is between the head and the wings, which usually have grayish spots on it, and is part of the thorax. The thorax, which is the middle section of their body includes three pairs of legs. The wings are attached to the thorax also. A ladybug’s abdomen hold the digestive system, and reproductive and excretory organs. Ladybugs have black legs. They have a round, oval like shape and for an insect are not very intimidating looking, yet they are predatory bugs. Ladybugs have two sets of wings. Only one pair is used for flying. The other pair protect their flight wings, and are very strong, designed to protect their back wings. When ladybugs are not flying, the rear wings, which they use for flying, are covered by a pair of wings called elytra. The elytra open up when they fly, which allows their flight wings to move. The number of spots on a ladybug, typify the type of ladybug, but there are no differences between the number of spots these small insects have. Ladybugs are considered a beneficial insect to man because they eat many bugs that are known to eat plants and destroy crops. The blood of a ladybug is yellow and has a very strong smell that acts as a repellent, to predators. Birds are the number one threat to ladybugs. But ladybugs can play dead until the threat from the predators pass. Just like beetles, ladybugs go through a complete meamorphosis with separate egg, larval, pupal, and adult stages. The eggs and larvae of ladybugs look similar to clusters of small orange footballs. They can lay anywhere from a few eggs to several dozen eggs. They usually lay their eggs on leaves near an area where the larvae have easy access to food sources. Eggs hatch within 3 to 5 days.When the eggs hatch, they look like small black alligators that have orange spots. These insects are very fast moving and they have a huge appetite. The larvae eat aphids and other soft bodied bugs for about 2 to 3 weeks. They can grow to about ½ inches in length within a two to three week period. After the larvae have grown to full size, they attach themselves to a plant leaf or a stem of a plant by their tail. They then begin a metamorphosis, where the skin of the larvae splits down its back and exposes the pupa. The pupa is roughly about the size of an adult ladybug, but it is all protected and wrapped up, until it becomes an adult. They pupate, usually on the upper portion of a leaf, as they turn into an adult ladybug within 7 to 10 days. Females are usually larger than males. From the larvae to the adults, all enjoy a diet of insects that are small and soft bodied. During the pupal stage, a ladybug can eat bout 400 medium size aphids. Ladybugs live for about a year, but some can live up to three years. Within a year they will usually devour over 5,000 aphids. Larvae consume about 25 aphids a day. Adult ladybugs consume about 50 aphids a day. Their voracious appetite helps them play a vital role in the management of pests that attack agriculture. 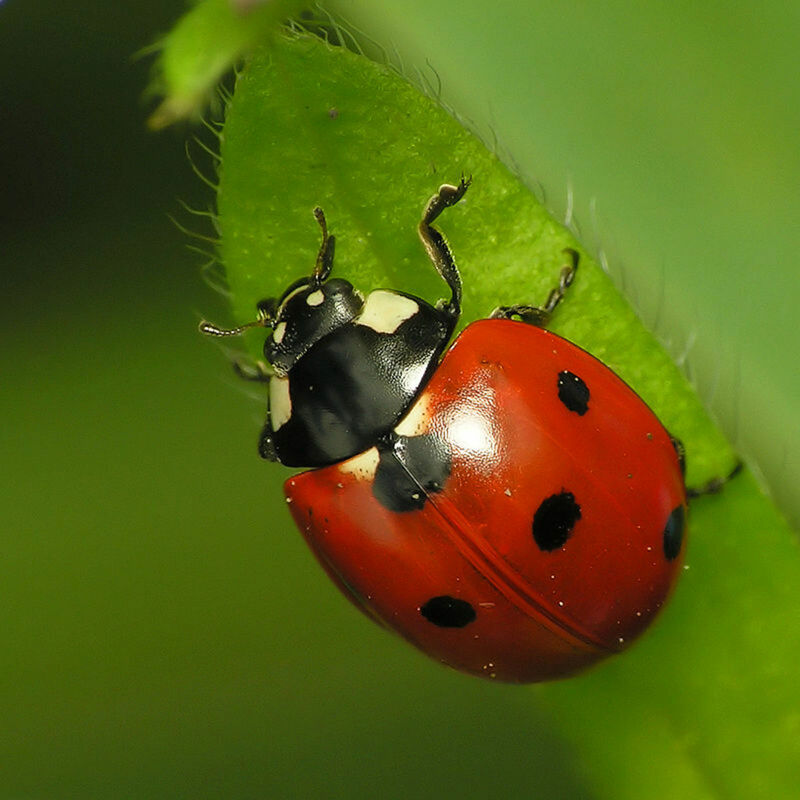 From orchards to crops, from houseplants to fields of gardens, it is the ladybugs who help control the pest that would otherwise destroy these plants. Ladybugs are used as biological pest management.They protect the garden from the parasitic insects and help reduce the use of harmful pesticides that would be used to eliminate the invading bugs that eat plants. Ladybugs bought for this purpose will work better in greenhouses, where they can’t fly away as easily.,In the outside garden, ladybugs will naturally fly away. This happens because the ladybugs are usually kept refrigerated, which puts these insects in a kind of winter hibernation called a diapause. When they arrive at your home and released, they awaken from their groggy state from the cold refrigeration and instinctively fly away to look for food. If you do buy ladybugs, look for the kind that the vendor says are preconditioned. All this means is that the ladybugs have been fed before they are shipped. 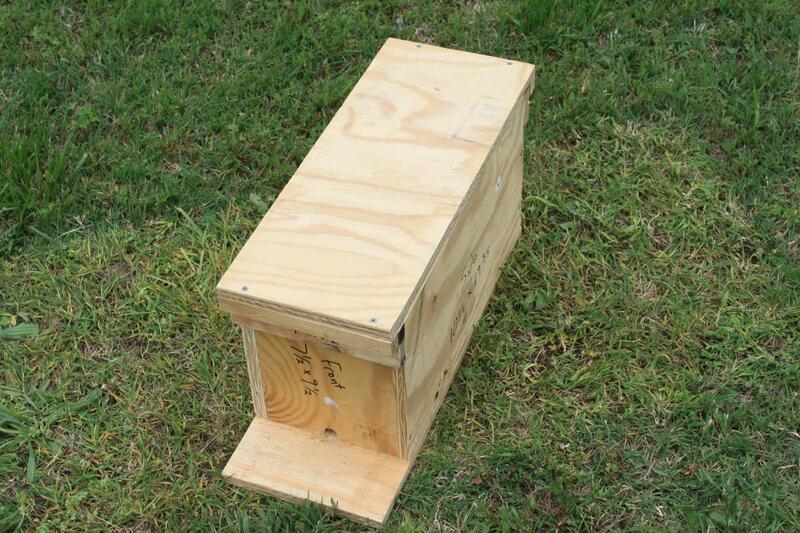 This may increase the likelihood that they will stay around your plants in the garden when released. Be sure to buy ladybugs that are native to your area. It is important to release the ladybugs when there is just the right population of bugs for them to eat. If you release them before there are enough pests around, the ladybugs will fly away in search of more food. If there are too many aphids, the ladybugs will stay, but may not be able eat enough of the bugs to stop plant damage. It is best to release the bugs when the aphid population is not to few and not too many. Spray your plants lightly to make the leaves moist and release the ladybugs in the evening. 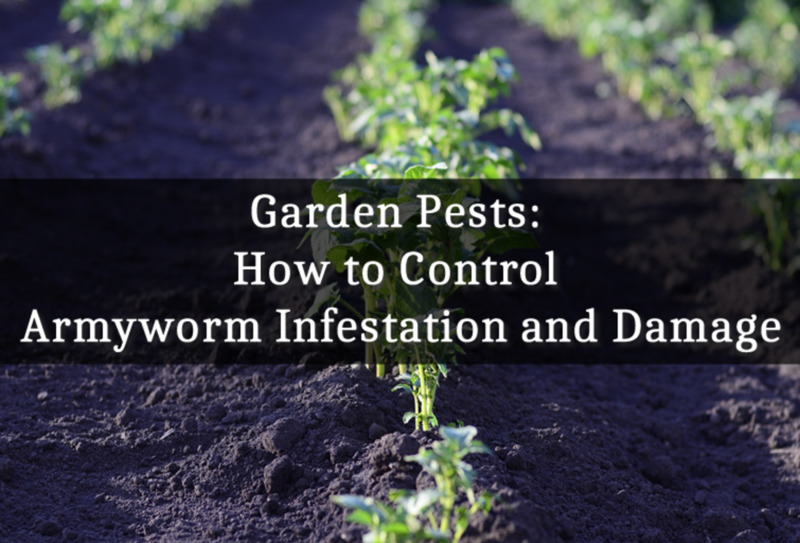 These insects will most likely sleep on the leaves for the night and be ready to feed on the aphids during the day, encouraging them to stay around your garden. You will get the best results if you buy ladybugs for your greenhouse plants. Ladybugs are usually found on flowering plants, peas, clover, alfalfa, and beans (legumes). It is believed that ladybugs are as colorful as they are to keep away predators. In nature predators instinctively avoid certain markings and special colors because they know these colors can signify poisonous or bad tasting animals. The predators learn to avoid these colors and the species who have these markings and colors are safe from being eaten by these enemies. The color warning is known as aposematism. Ladybugs are associated with a bad taste. In autumn, ladybugs may consume pollen in addition to aphids, because pollen helps supply fat for the colder winter season, while they hibernate. During the winter, ladybugs may fly in mass into mountain canyons and over winter under leaves or bark that has fallen. They will return to the valleys in the spring. Hundreds will live at the base of a tree, fence or underneath a rock, logs, underground covering, and in buildings. They also can hide out inside out of the way places in people’s homes like attics or voids within walls, until the cold weather passes. In the spring, ladybugs usually mate. Ladybugs are attraced to flowers that are umbrella shaped like dill, fennel, cilantro, angelica, caraway, yarrow, tansy, and wild carrot, geraniums, coreopsis, dandelions. :Ladybugs are very sensitive to insecticides. In 1999, NASA sent four ladybugs into space with some aphids to see what happens in zero gravity. Scientists know that ladybugs climb up stalks to eat aphids. Gravity helps the aphids fall off the stalk to escape the ladybugs. In space, scientists wanted to see if aphids could get away without the help of gravity. By the end of the mission, the ladybugs did survive and were able to eat the aphids in space. They named the four ladybugs after the Beatles, John, Paul, Ringo, and George. Ladybugs got their name during the middle ages. People prayed to the Virgin Mary, as they helplessly watched their crops be overrun by swarms of plant eating infesting insects. Ladybugs came, ate the bugs and people dedicated the tiny beetles to the Virgin Mary, calling them the bug of our lady, which eventually got shortened to ladybug. Ladybugs naturally defend themselves by secreting an odor from the fluid from the joints in their legs. This fluid is very distasteful to their predators. After handling ladybugs, people should avoid putting their hands to their eyes to avoid any allergic reactions. 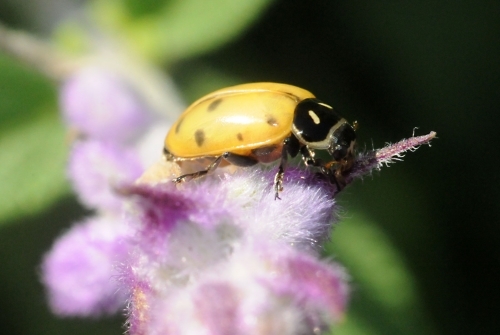 Though most ladybugs eat insects, a few species eat plants and are considered pests. The French call ladybugs 'les betes du bon Dieu', which means creatures of God. In Australia people long ago, would ask ladybugs for good weather. The Swiss had the custom of telling their children that babies were brought by ladybugs, and caled them God’s little fairy. In Germany, they are called Marienkafer or Mary's beetles. People would count the spots on ladybugs, and believed that less than seven spots would mean a big crop harvest. Other parts of Europe had the folktale that if a ladybug crawled across a young woman’s hand, within a year, she would be married. In the United States, Delaware, New Hampshire, Massachusetts, Tennesse, and Ohio call the ladybug, their official state insect. In Great Britain, ladybugs are called ladybirds. The spotted wing covers on ladybugs are made from a material called chitin, the same as our fingernails. Ladybugs tend to do most of their flying in the warmest part of the afternoon. A scientist named Paul Brakefield at the University of Cambridge in the United Kingdom has studied ladybugs that had two spots for decades to learn why ladybugs come in different colors. Going back to 1980, 90% of the ladybugs who lived near the coast were red with black spots, known as nonmelanic. 10% had black with red spots, known as melanic. He found that the more inland the bugs lived, th greater the population had black with red spots. He believed that this occurred due to an adaptation that helps the darker shell stay warm, where the temperatures might be cooler inland. The redder color protects the ladybugs from getting too hot near the shore. There is a protein that accounts fro the difference of color, and the genetic switch is not complicated within the species. But scientists can not explain how the sun or temperature affect the color of the ladybugs. Brakefield believes this has to do with a warming climate trend. 2004 was the last year there were enough ladybugs to do this study. Brakefield has been studying ladybugs for decades and seen many generations of these small beetles. Over time, the population of two spotted ladybugs has been significantly reduced due to competiton from the Japanese Harlequin Ladybug. Asian ladybugs were imported around 1994, from Russia, Japan, Korea, China, and other countries. They have overpopulated some areas, and reduced the population of some species that are native to the United States by competing for the same food. 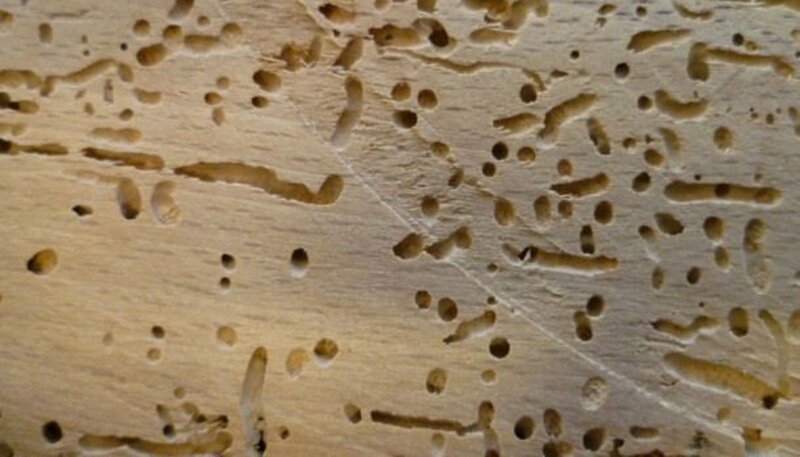 Some of the Asian beetles have become a nuisance, as they congregate inside buildings on cold days and interfere with the quality of life for people. Sometimes these Asian beetles can taint the grapes that are used for wine with their noxious odor. Another species of ladybug is called the Mexican Bean Beetle, which feeds on bean crops, and is considered a pest to plants. -The spotted wing covers on ladybugs are made from a material called chitin, the same as our fingernails. Hi Itsme, I am glad you stopped by to read my hub and I appreciate your kind comments. You have lots of great information in this Hub! I've seen hibernating ladybugs 3 times, once in a dead volcano in Colorado, another time in the mountains in Southern California, and once in a tree in our yard. Masses and masses of them--it is so amazing! One other ladybug fact is that parents adopting from China have chosen ladybugs as a good luck symbol for their adoptions. I think it started when one adoptive mom saw a ladybug and then got her adoption referral that day. Lots of Chinese adoptive babies (including mine) were dressed in ladybug clothes. It fits in with the fact that Chinese people like red. Take care! Voted up and pinned on my adoption page. Oh gosh--I don't think any of us know the kind of devastation that you've been through--I will remember that when I'm complaining about my crazy life! Take care and sending you warmth...at least in thoughts! Hi Audrey, Thanks for reading my hub. I am still shell shocked from the hurricane, and I still have no heat and hot water in the house, and there is still so much to repair, but I am trying to do get back to my writing and back to myself. Many years ago, I participated in a hike along the South Fork of the Yuba River, in Northern California. I was gobsmacked at what I saw: zillions of ladybugs clustered on the branches of trees and shrubbery. The ladybugs appeared to be engaged in some very public unladylike behavior! Hi my friend great hub and interesting information on the ladybug, some of it i did not know before. I use them in my garden too ! A ladybug named Delilah is a main character in my novel. :) We also get a couple thousand of them each year and release them in our garden to handle the aphids. I love these friendly little bugs. Very interesting information my friend. I hope you are well. This is very interesting and informative! Great Hub.